Everyone wants to be a Pirate...And our Pirate Flags collection includes authentic and unique designs to delight young and old alike. 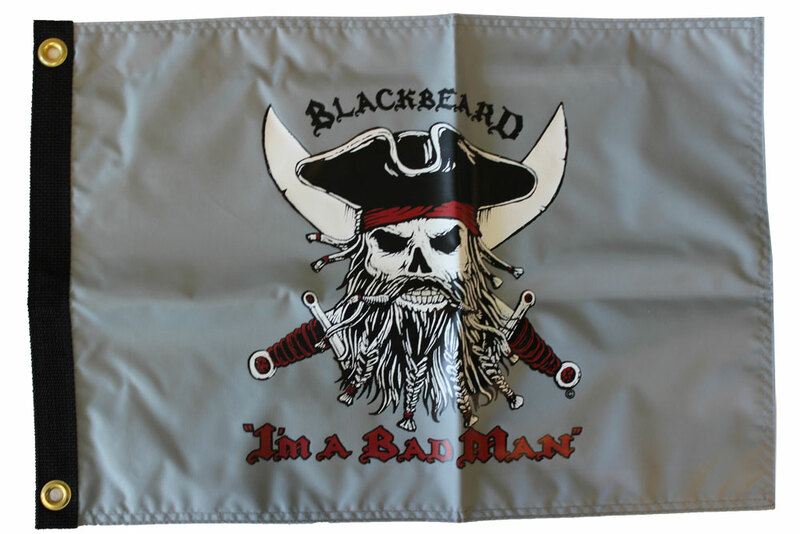 Our "Blackbeard-I'm a Bad Man" 12x18 inch flags are two sided nylon, suitable for outdoor use with two brass grommets on the 12" hoist side. This is a Special Edition design in honor of the latest movie; Pirates of the Caribbean: On Stranger Tides.